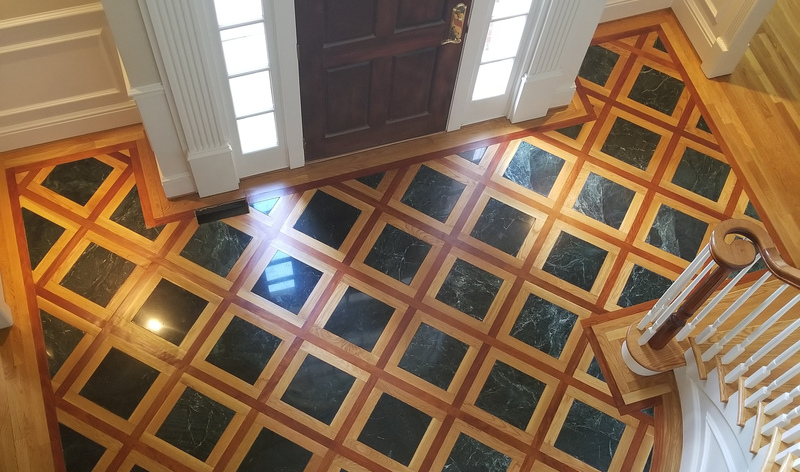 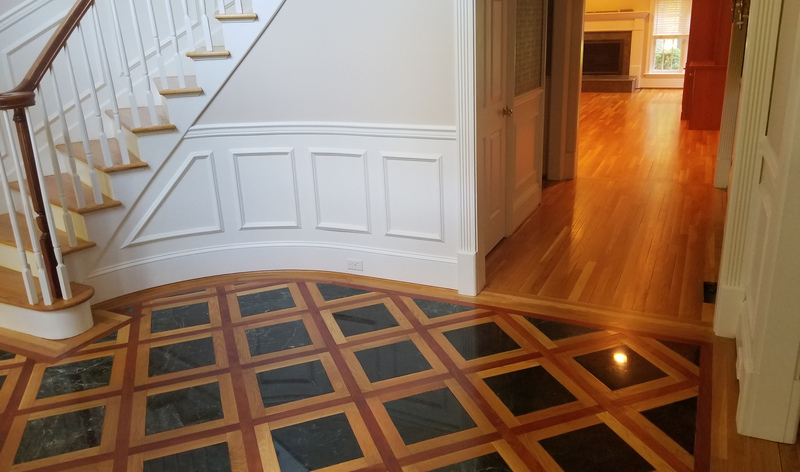 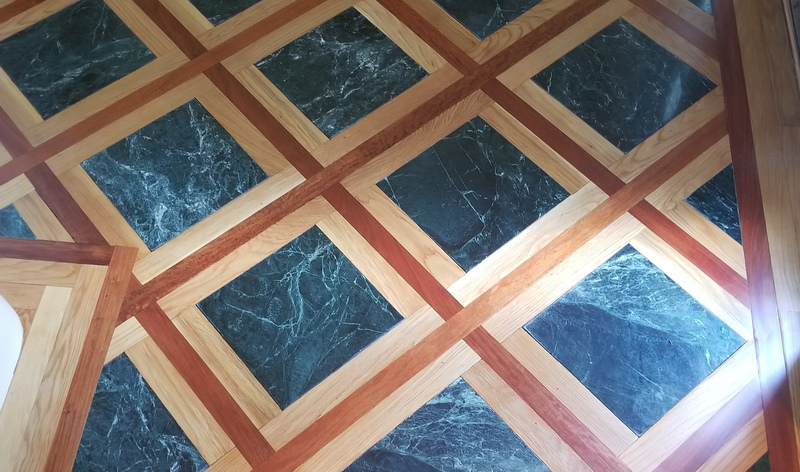 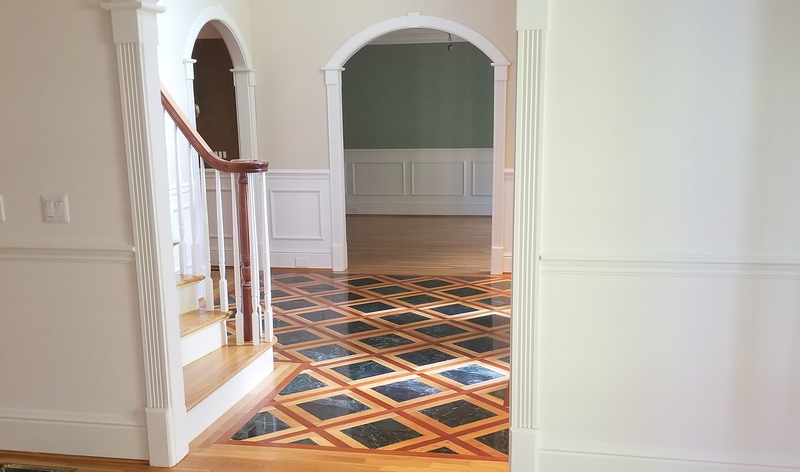 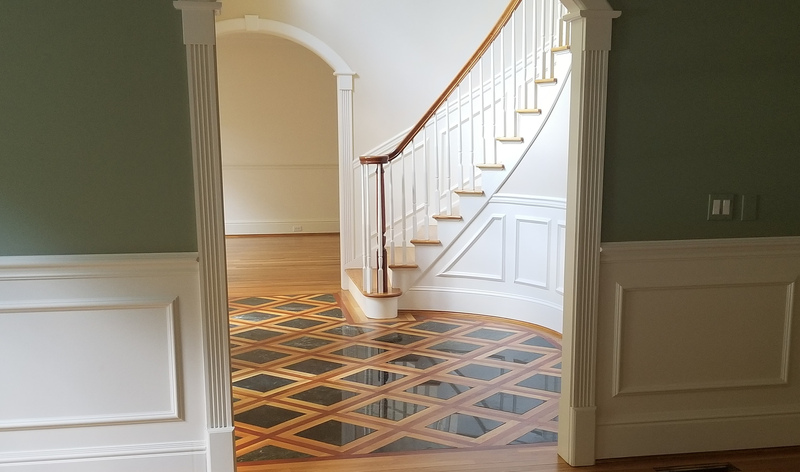 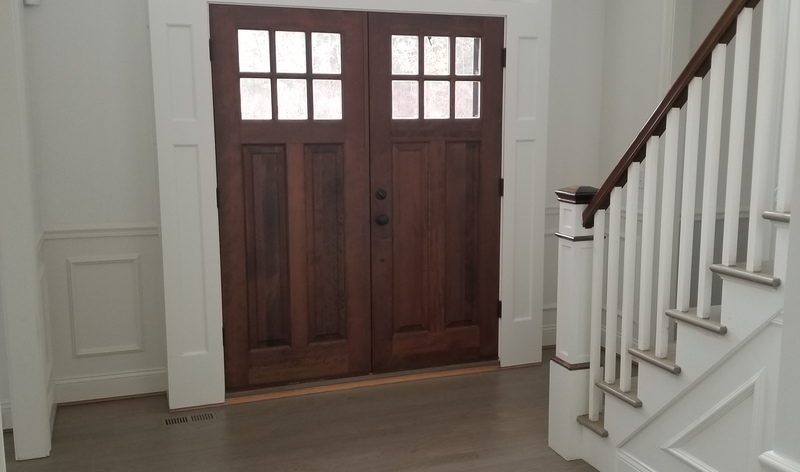 A tile inlay in a hardwood floor makes for a truly striking entrance to a home. 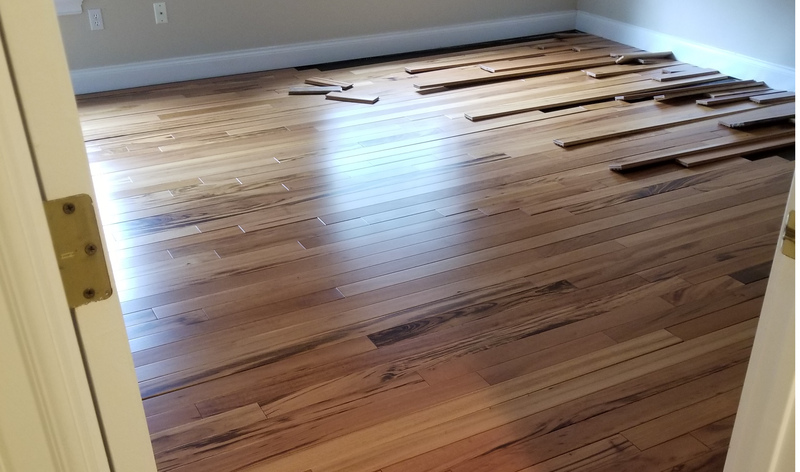 However, when it's time to refinish your floor, you'll need a professional capable of delicately working around the tile. 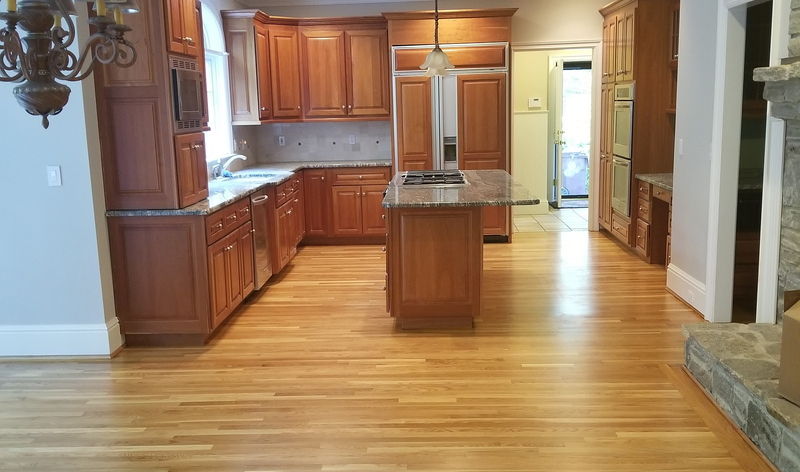 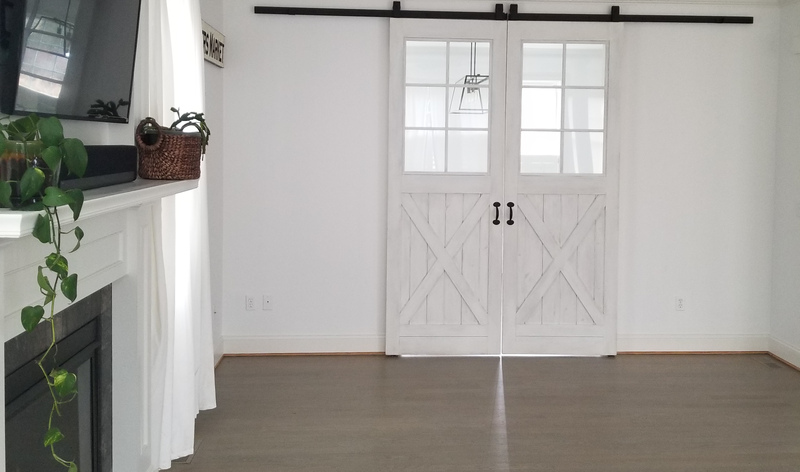 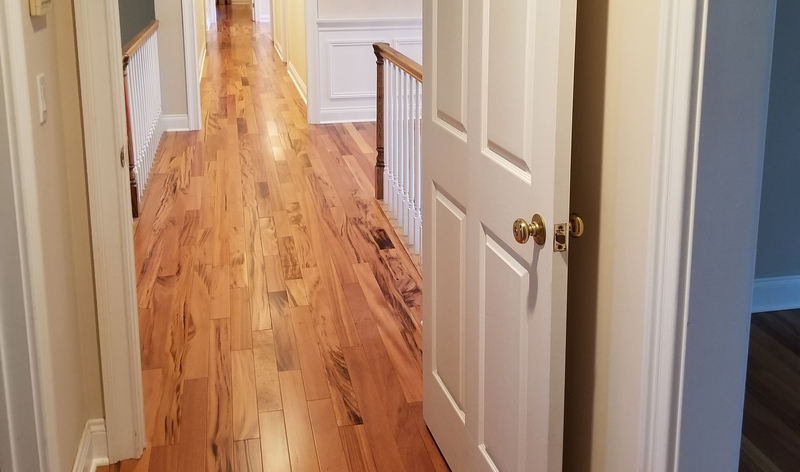 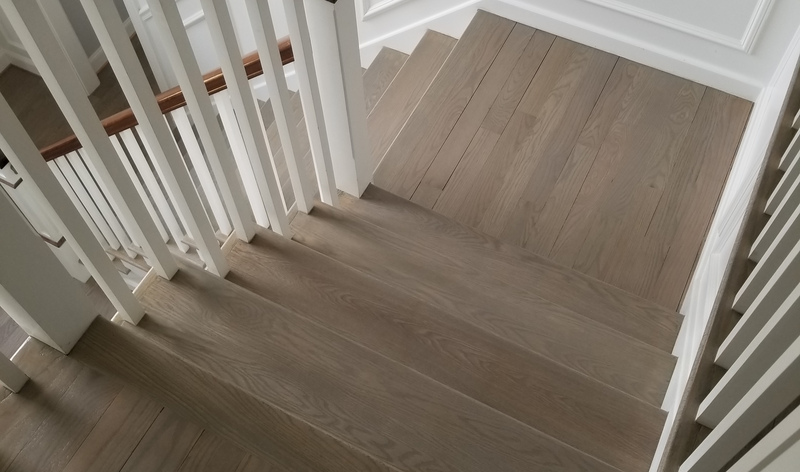 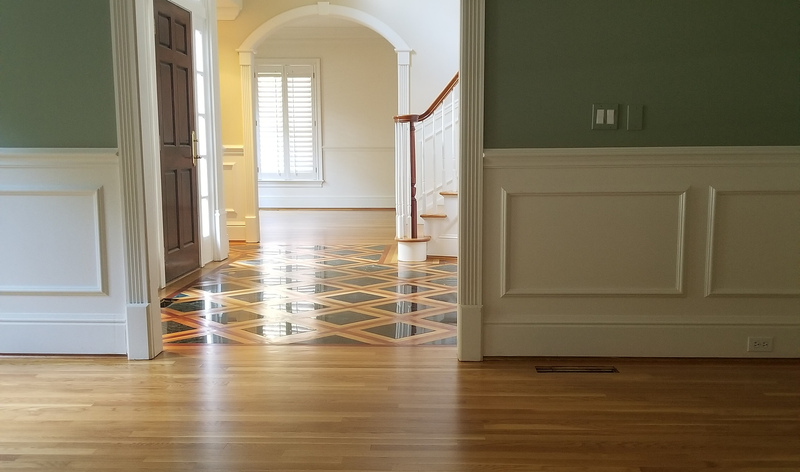 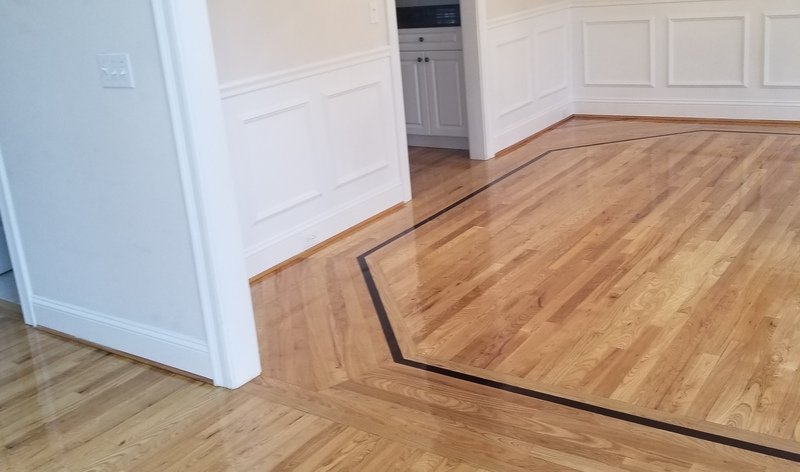 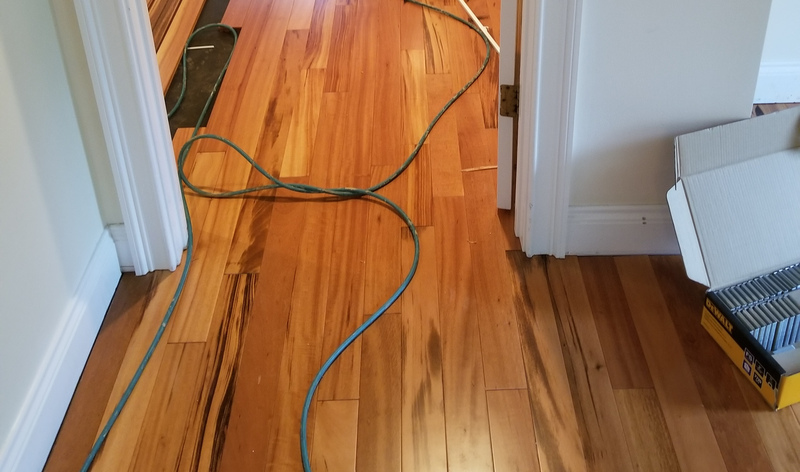 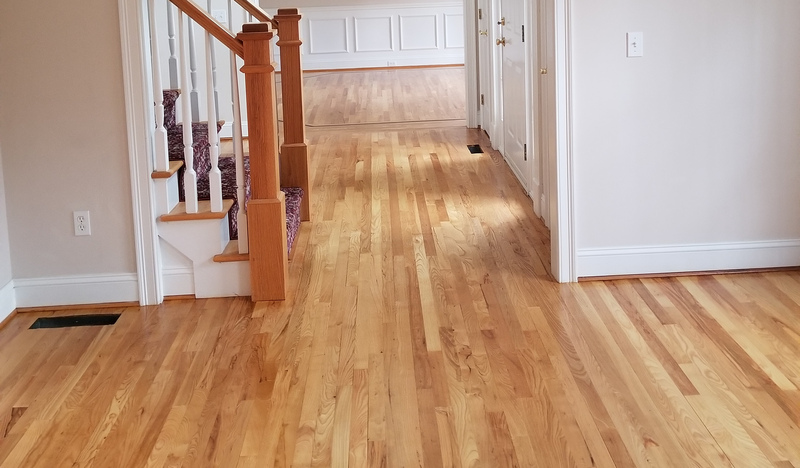 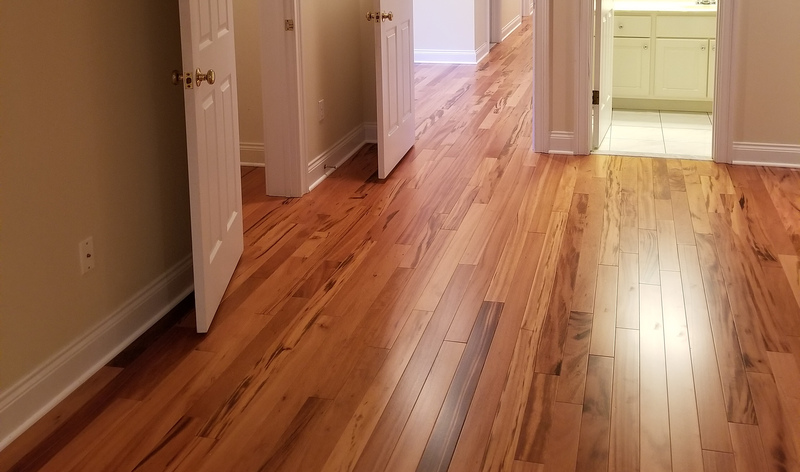 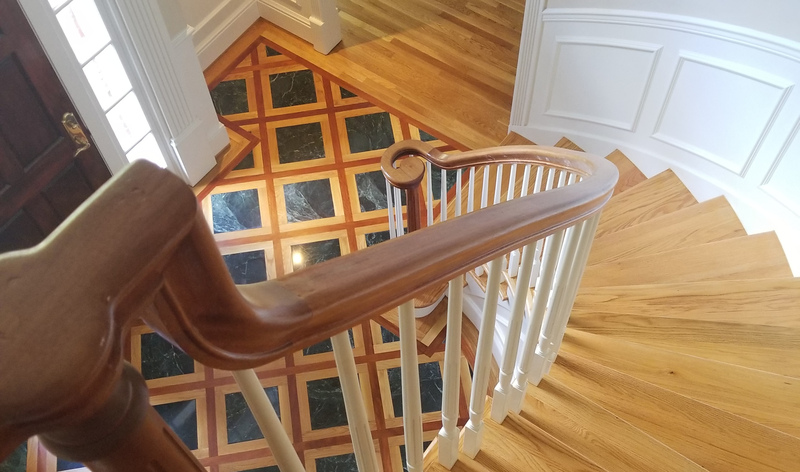 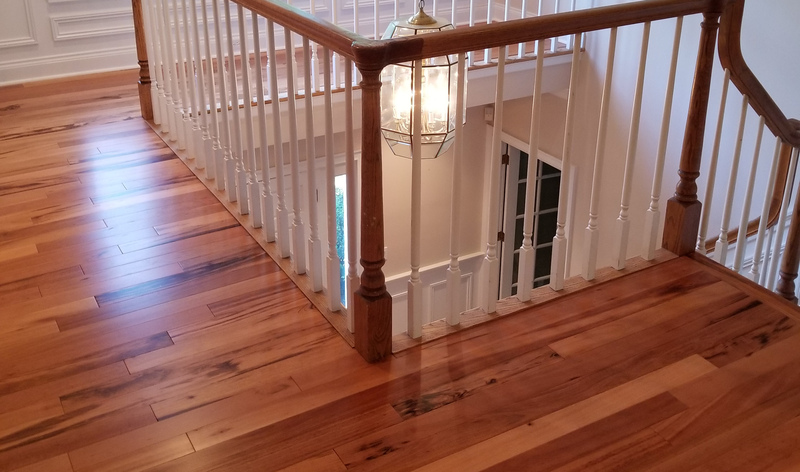 Transforming a home from generic to one-of-a-kind doesn't always require new flooring. 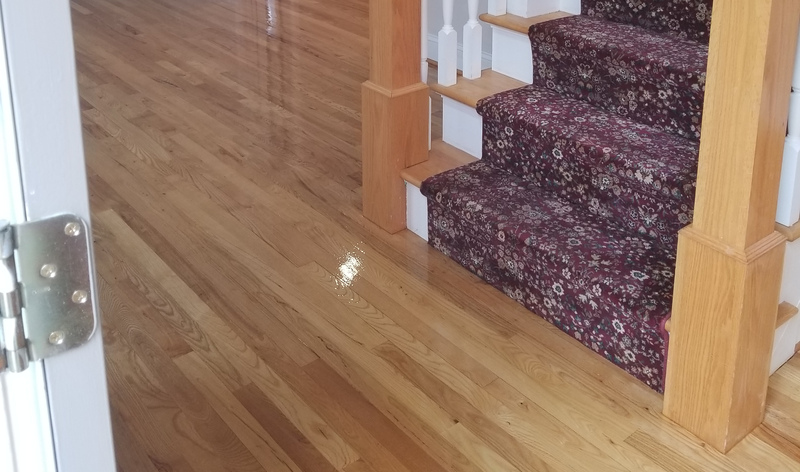 PHF has the technical expertise to mix custom stain colors to match any desired look. 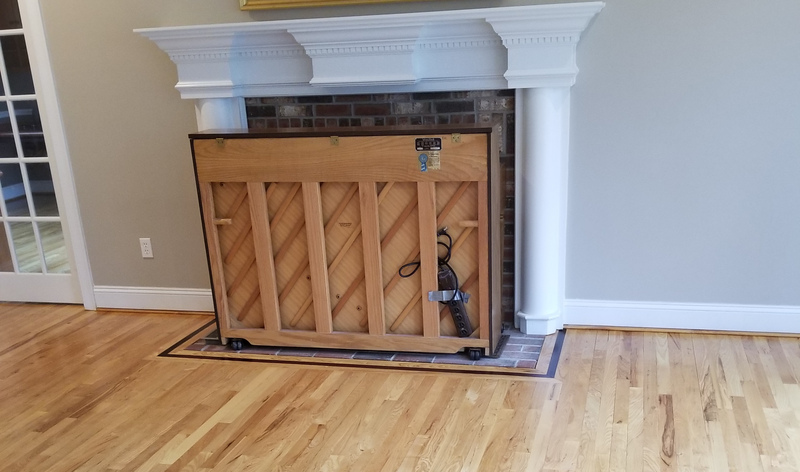 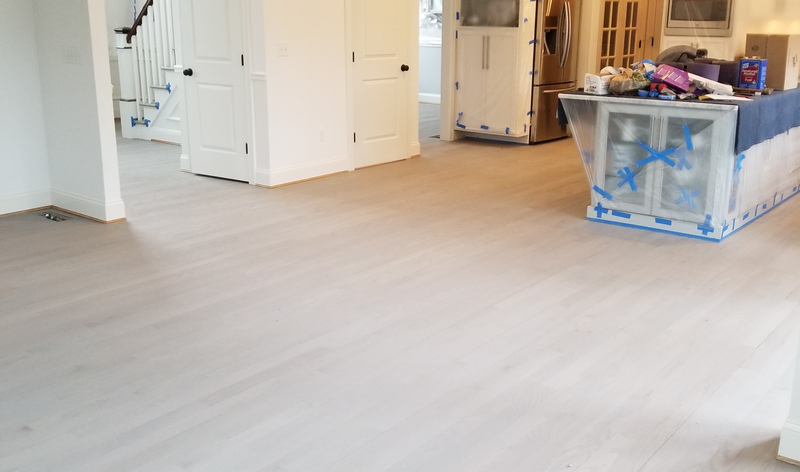 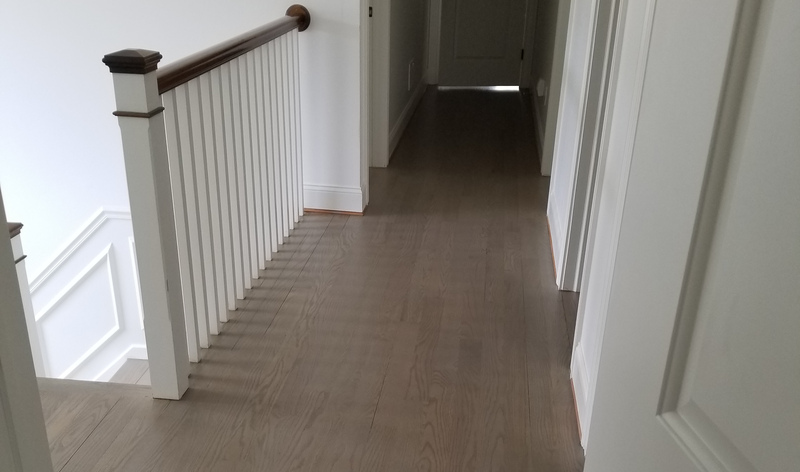 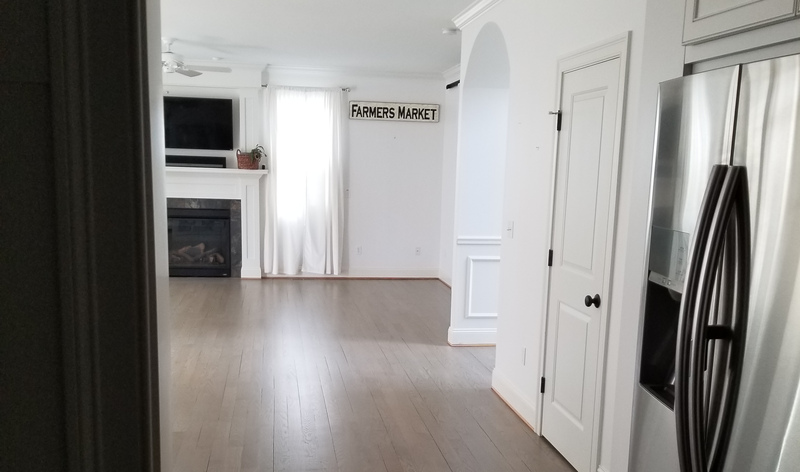 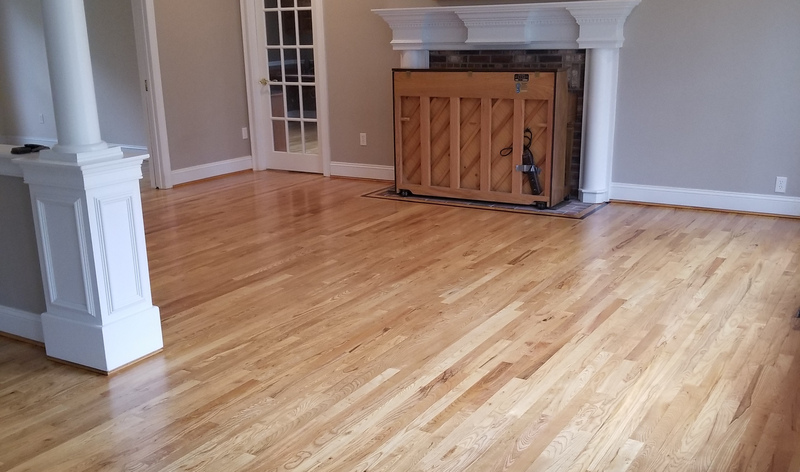 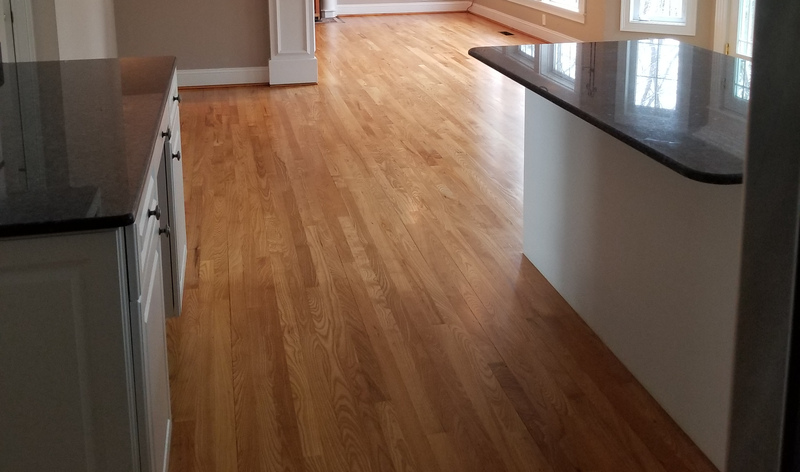 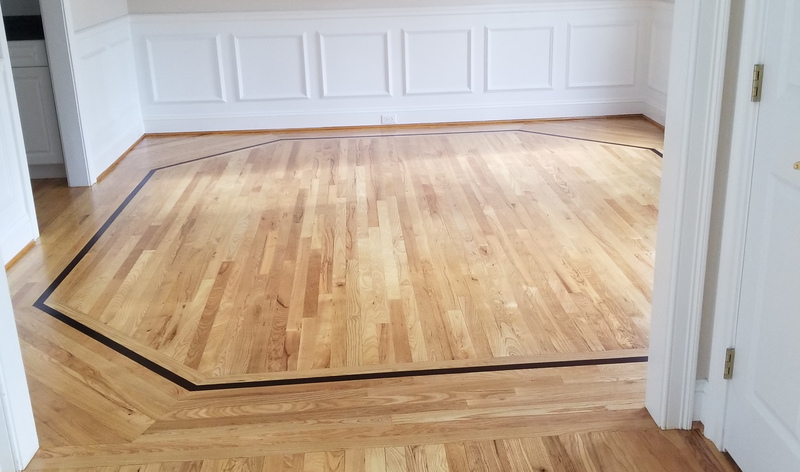 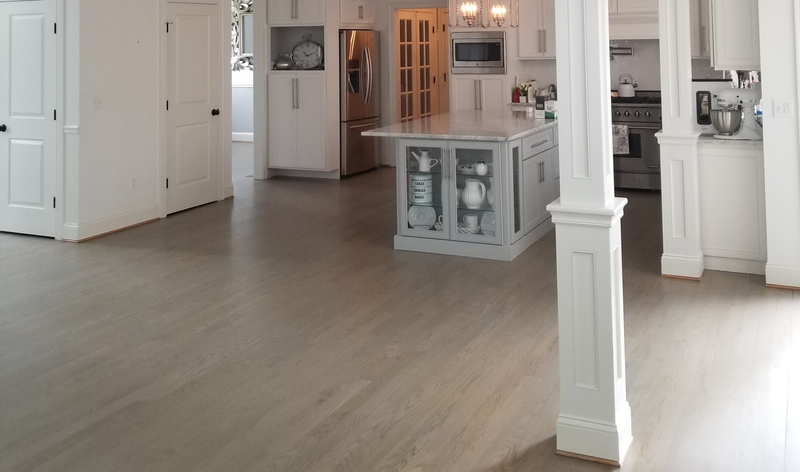 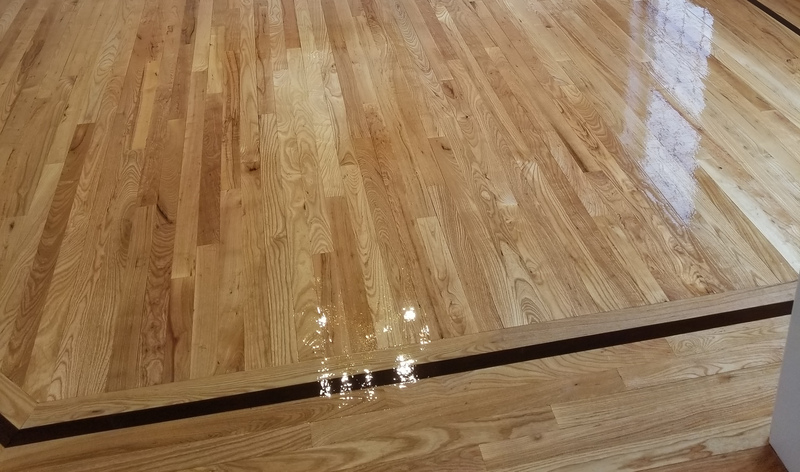 We changed these oak floors from natural to a blend of country white and ebony stains. 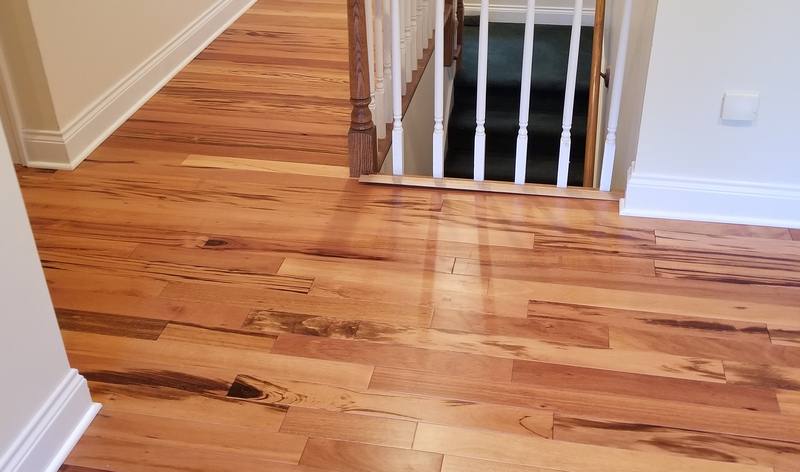 To get that desired one-of-a-kind look, you occasionally have to move beyond the common types of flooring lumber. 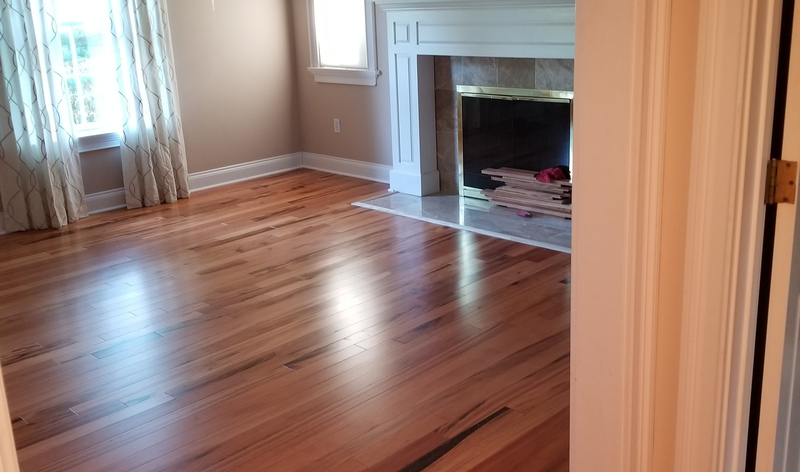 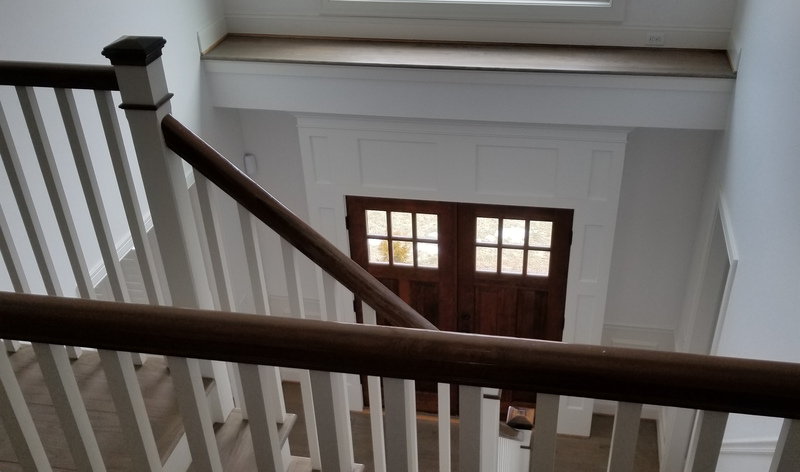 Here you can see the visual impact that Tiger wood can have on a home. 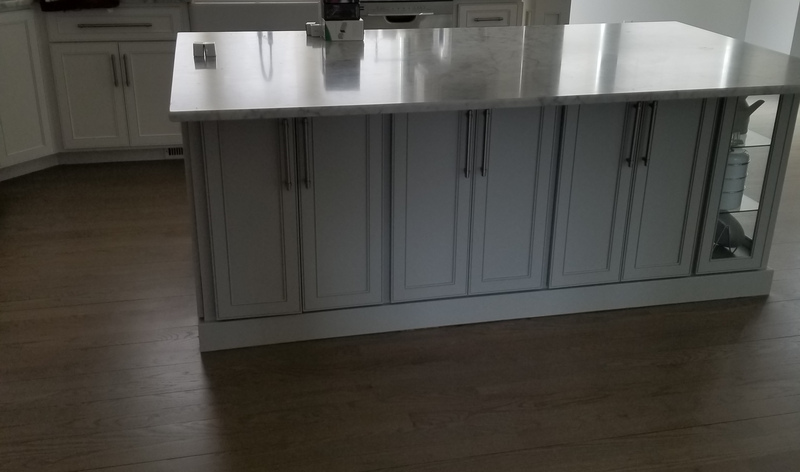 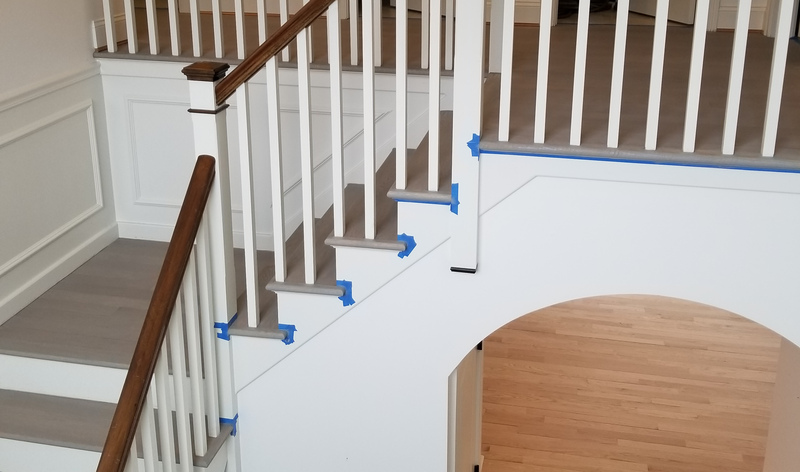 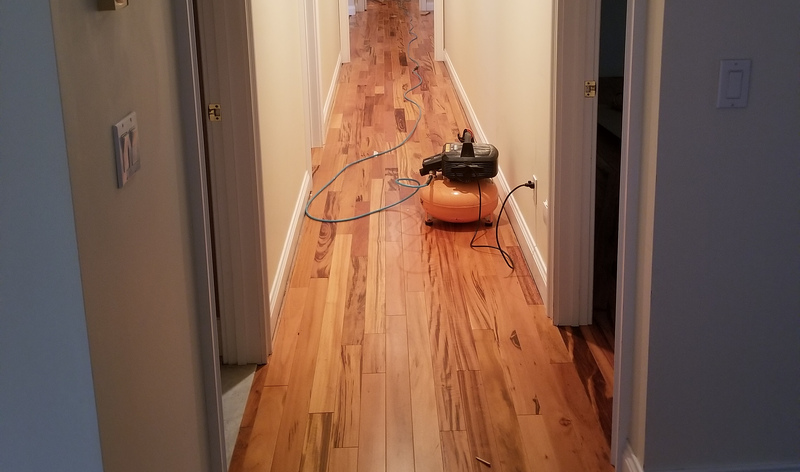 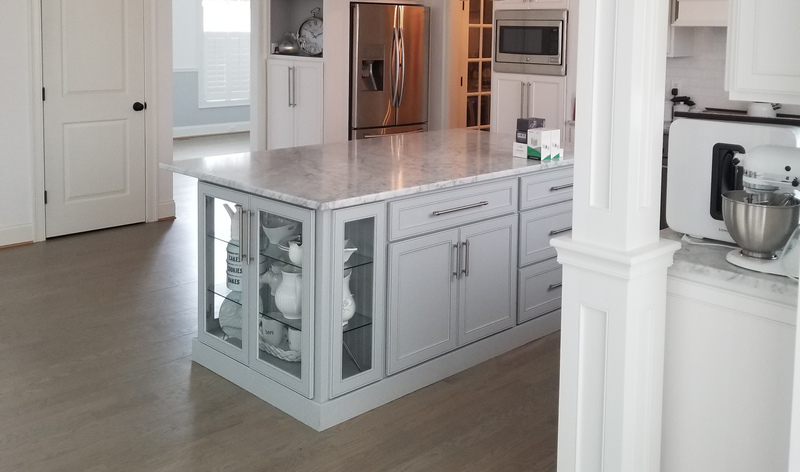 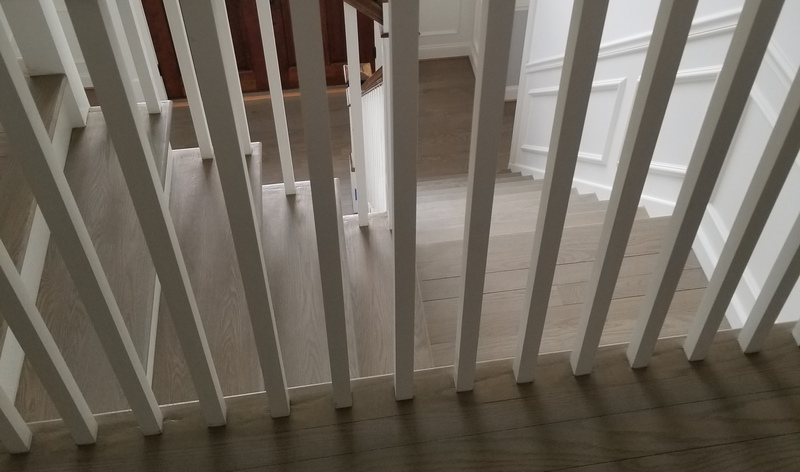 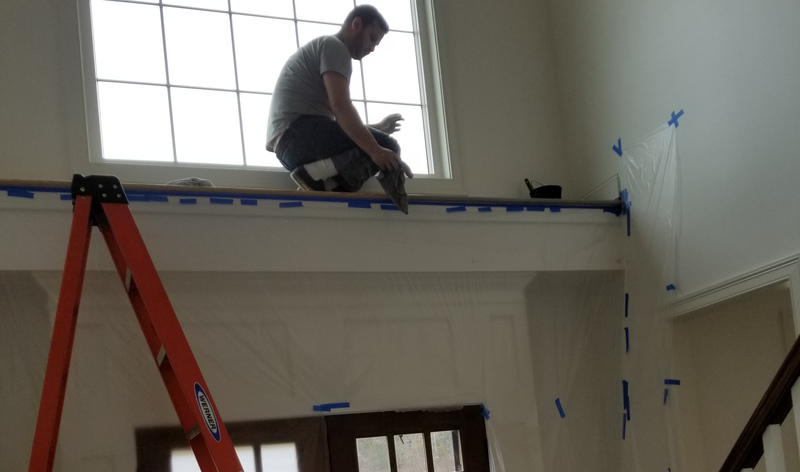 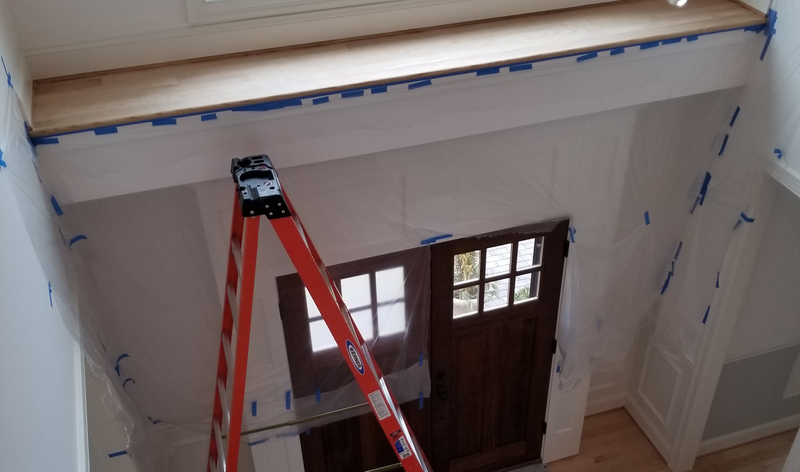 This was a pre-finished installation. 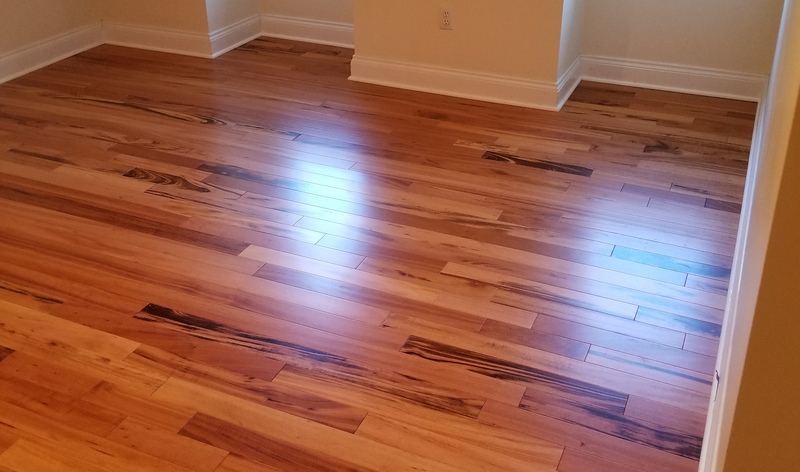 Adding a different color wood and altering the floor pattern is a great way to increase the sophistication of a room. 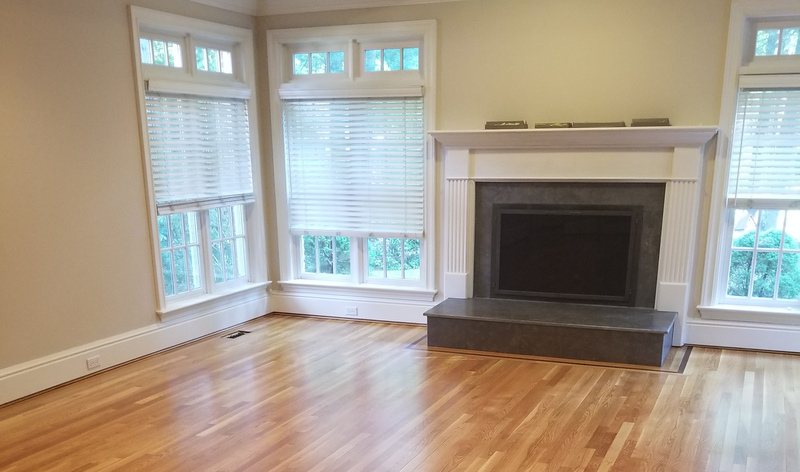 Here, you can see how it accentuates a dining room and a fire place.